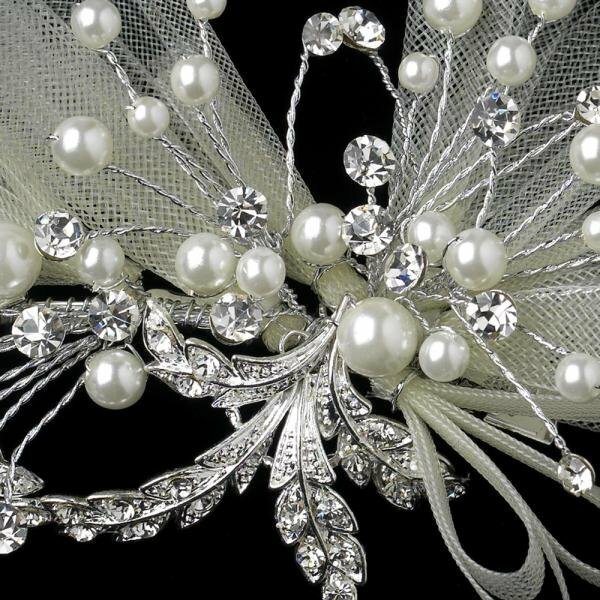 This bridal design features a non traditional ribbon style with feather shape projections that branch out from a central arrangement of faux pearls and rhinestone elements. 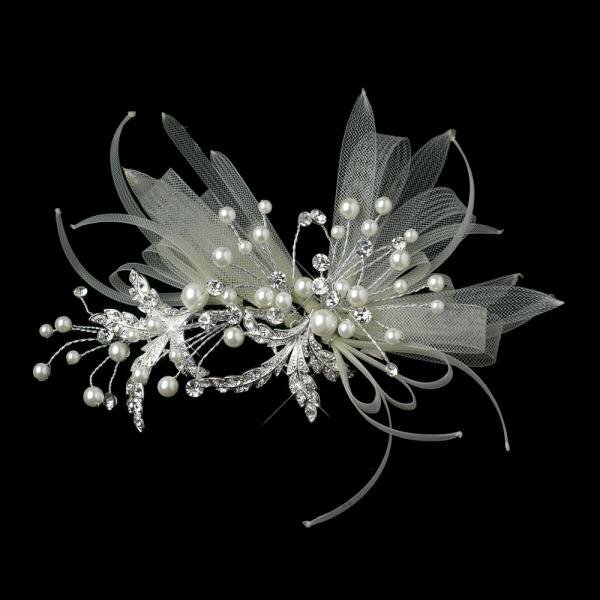 In addition are elegant leaf like designs that are featured in a silver tone plating that have been carefully handcrafted for a classic style of unique beauty. On the back of this hair piece is an alligator clip to provide maximum comfort and security throughout the duration of it's wear. Size: 16.5 cm long x 10 cm wide.